Wouldn't you love to trade places with Fairy Princess Spring? She is so content to sit in her swing in her very own specially made Arboretum. Her darling trellis is abloom with roses, moss, statice, and other wonderful (dried) flowers. She even has a little hidden music box that plays "There's No Place Like Home" in the trellis archway. Fairy Princess Spring wears a beautiful handmade silk gown trimmed with tiny roses and pearls. 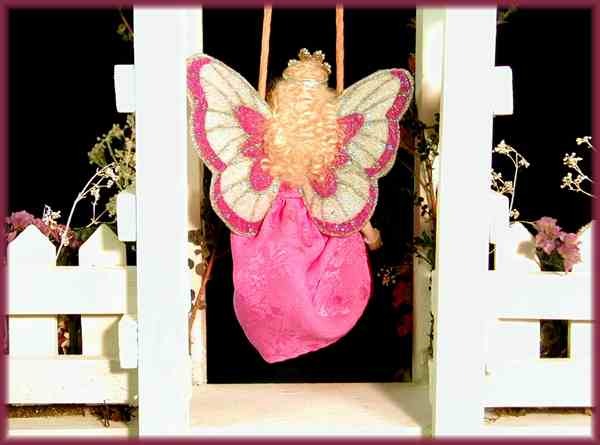 Her wings are also handmade and handpainted, with colors matching the rose red of her dress. Her crown is hand crafted of tiny pearls and the teeniest pink Austrian crystals. Mmmmm, can't you just smell the flowers? 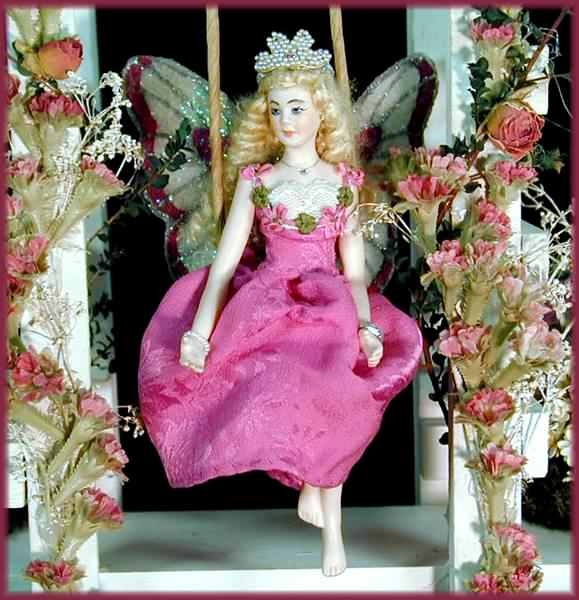 Fairy Princess Spring is a hand painted porcelain fairy doll. She is approximately 6" tall with a wingspan of 41/2". Her trellis is made of wood and is approximately 15" wide and 12" tall. 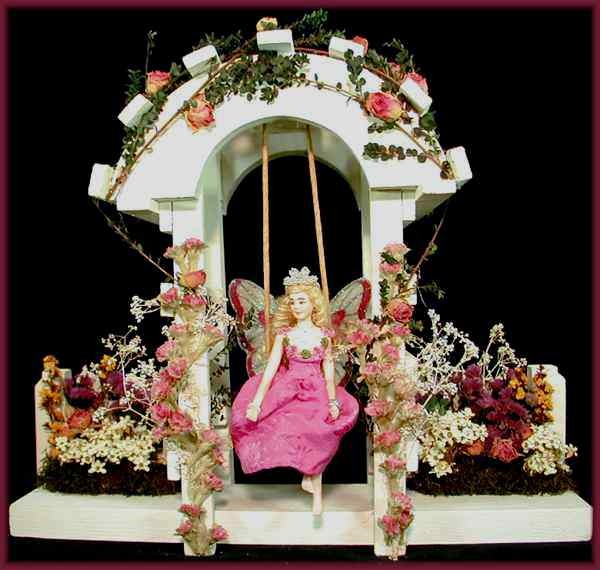 "Fairy Princess Spring in her Swing" is an exquisite, one of a kind work of art by the artist JoAnnJ of Galleria d'Juliani, and is hand-signed by the artist.